Presenting the essential writings of black lesbian poet and feminist writer Audre Lorde, Sister Outsider celebrates an influential voice in twentieth-century literature. 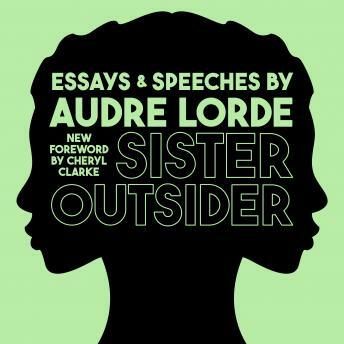 In this charged collection of fifteen essays and speeches, Lorde takes on sexism, racism, ageism, homophobia, and class, and propounds social difference as a vehicle for action and change. Her prose is incisive, unflinching, and lyrical, reflecting struggle but ultimately offering messages of hope. This commemorative edition includes a new foreword by Lorde scholar and poet Cheryl Clarke, who celebrates the ways in which Lorde's philosophies resonate more than twenty years after they were first published.